Fundada en 2012, Titan Aeroespacial se especializa en la fabricación de aviones no tripulados “atmospheric”. Flying at an altitude of 65,000 feet, about 20 km above sea level, but still in the atmosphere, which can perform the same tasks as a conventional satellite (monitoring, mapping, communications,,es,). Despite being much cheaper. 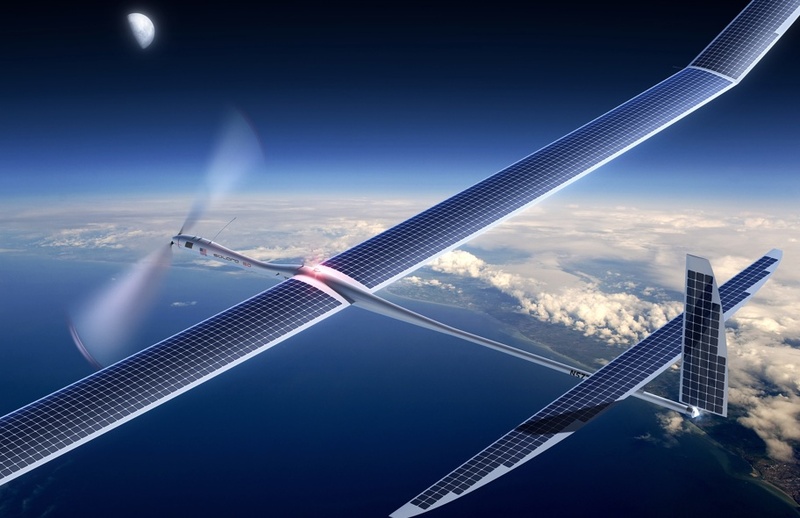 Its price would be less than $ 2 million, compared to over 100 million satellite.,,es,These drones are powered by photovoltaic energy through large solar panels on its wings. AS Titan, which can fly for five years without landing or refueling for,,es …). A pesar de ser mucho más barato. Su precio sería de menos de $ 2 millones de dólares, frente a más de 100 millones de dólares por satélite. Estos drones son alimentados por la energía fotovoltaica a través de grandes paneles solares en sus alas. SEGÚN Titán, que pueden volar durante cinco años, sin necesidad de aterrizar o para su reabastecimiento “Operating costs are virtually nil, he said last year in Fortune magazine Dustin Sanders, chief engineer of the company. Only one person to make sure that the manned aircraft malfunction is needed,,es,These drones could have a dual use. First, they can improve their mapping service, Google Maps old virtual world, Google Earth. Titan devices they can take pictures of the Earth in high resolution. This could allow the company to update its maps more quickly. Or, to provide real-time information.,,es,Second use: provide Internet access to people who still lack. Titan teams and work closely with the project,,es “. Segundo uso: proporcionar acceso a Internet a las personas que todavía carecen. Equipos Titan y el trabajo en estrecha colaboración con el proyecto “ salary”Whose mission is to release helium-filled balloons also flying about twenty kilometers above sea level,,es,It is still early, but atmospheric satellites could help provide Internet access to millions,,es,Explains Google.,,ca,Says the search engine. But behind the idyllic vision also economic goals are hidden. Facilitate access to, Facebook and Google hope to gain millions of users. That means wider audience and new advertising opportunities. Although growth is slowing in the US and Europe.,,es “sigue siendo temprano, pero los satélites atmosféricos podrían ayudar a proporcionar acceso a Internet a millones de personas “, explica Google. “Titan Aerospace and Google share a deep optimism about the potential of technology to improve the world”, dice el motor de búsqueda. Pero detrás de la visión idílica también se ocultan los objetivos económicos. Facilitar el acceso a , Facebook y Google esperan ganar millones de usuarios. Eso significa que una audiencia más amplia y nuevas oportunidades de publicidad . A pesar de que el crecimiento se desacelera en los EE.UU. y Europa.